EU's Graphene Flagship project researchers fabricated graphene-based spintronics devices that utilize both electron charge and spin at room temperature. The researchers demonstrated the spin’s feasibility for bridging distances of up to several micrometres - which they say could open the door to single-chip devices that integrate logic and memory. The Spintronics-Info team takes pleasure in recommending our new book - The Perovskite Handbook. 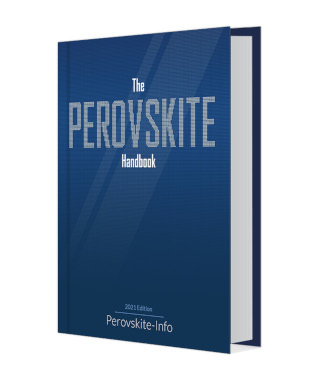 This book gives a comprehensive introduction to perovskite materials, applications and industry. Perovskites offer a myriad of exciting properties and has great potential for several industry -including the spintronics one. We believe that any spintronics professional would find that perovskite materials are an area of focus that should not be ignored. The promising perovskite industry is currently at a tipping point and on the verge of mass adoption and commercialization and the first display-related perovskites are already reaching the market. Researchers from the University of Utah developed two spintronics devices based on perovskite materials. The researchers use these new devices to demonstrate the high potential of perovksites for spintronics systems. This is a followup to the exciting results announced in 2017 by the same group that showed advantages of perovskites for spintronics. 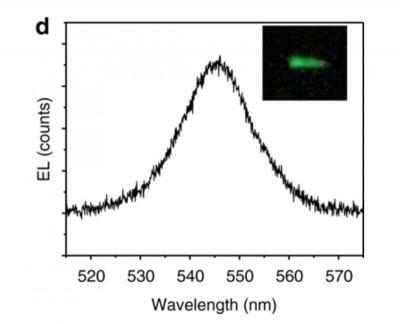 The researchers use an organic-inorganic hybrid perovskite material that has a heavy lead atom that features strong spin-orbit coupling and a long injected spin lifetime.The first device is a spintronic LED which works with a magnetic electrode instead of an electron-hole electrode. The perovskite LED lights up with circularly polarized electroluminescence. Researchers from the University of Gothenburg have succeeded to produce spin wave overtones for the first time, which could enable faster wireless data communication based on spintronics devices. Spintronic oscillators are devices in which spin waves are used to generate microwave signals in the gigahertz range. The new research shows how it is possible to produce spintronic oscillators that strengthen spin wave signals in several steps. This makes it possible to generate very high microwave frequencies with short wavelengths for use in spintronics and magnonics. As 2018 is coming to an end, it is nice to take a look at the year that passed with its interesting spintronics related research activities and advances. Researchers from the UK's Manchester University have explored opportunities presented by hexagonal boron nitride (hBN) as a prototypical high-quality two-dimensional insulator that can be used both as a barrier in MTJs and as for spin injection in lateral spin valves. The research revealed the effect of point defects inevitably present in mechanically exfoliated hBN on the tunnel magnetoresistance of Co-hBN-NiFe MTJs. In particular, the researchers observe a marked enhancement of the magnetoresistance of the junction at well-defined bias voltages, indicating resonant tunneling through magnetic or 'spin-polarized' defect states. Researchers of the NanoBioMedical center at Adam Mickiewicz University in Poznan- Poland, in collaboration with the University of Barcelona in Spain, have recently reported on the room temperature multiferroic behavior of Bismuth Iron Manganite (Bi(Fe0.5Mn0.5)O3) thin films, with a thickness below 40nm. Multiferroic materials are promising for electronics due to the possibility of affecting their magnetic properties by electric means. In their article the team has not only shown the interdependence of both magnetic and electric properties at room temperature but has also shown the exceptional low magnetic damping of this material, making it one of the only known ferromagnetic and ferroelectric multiferroic with low damping.